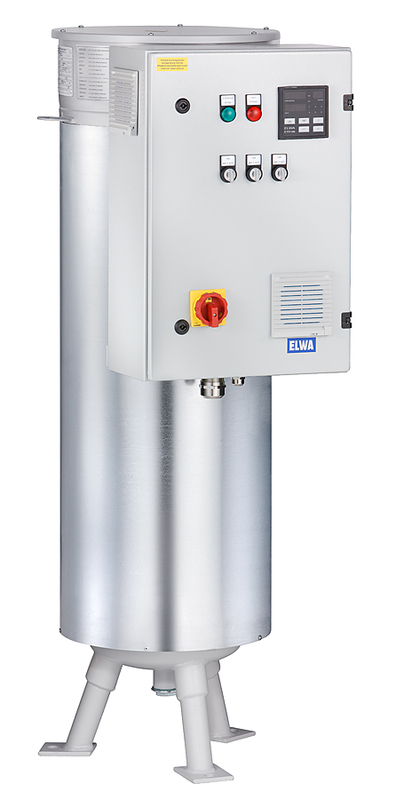 ELWA manufactures electric continous flow heaters in different designs. All products feature highest quality and flexibility to adapt the heater perfectly to the application. Operating voltage, specific surface load, material of vessel and protection tubes, position and dimension of connecting flanges… there is almost no limitation to adapt the design to perfectly fulfill the requirements of our customers applications. To guide you to the product best suited for you application, please use the fluid/application guide below… or scroll down to use the quick type guide …if you prefer to check all available designs. If you need to heat water (technical water / cooling water), our heaters of the 4600 WR series are the perfect choice. Each heating element can be exchanged, making the heater a safe investment and keeping the TCO as low as possible. The 4600 WR are also used in our KVE preheating units which include controls and circulation pumps. If you need to heat seawater or bilge water, our heaters of the 4600 SE series are the perfect choice. The surface load (watt density) is kept to a safe (low) level to achieve extremely long lifetime of the heating elements. Each heating element can be exchanged, making the heater a safe investment and keeping the TCO as low as possible. 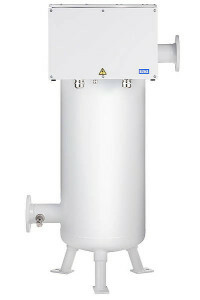 4600 RF heater are our workhorses for lower pressures up to 10 bar. They come with exchangeable heating elements (without draining the pressure vessel), adjustable surface load (Watt density) according to customer specs. Mild steel or stainless materials can be used. 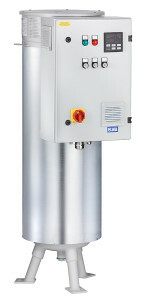 4600 WR heater are our workhorses for higher pressures up to 16 bar and for watery mediums (cooling water / emulsions) . They come with exchangeable heating elements (you will need to drain the pressure vessel). Mild steel or stainless naterials can be used. 4600 MT heater are our workhorses for higher pressures up to 16 bar. They come with exchangeable heating elements (without draining the pressure vessel), adjustable surface load according to customer specs. Mild steel or stanless naterials can be used.